For over 20 years, Phoenix has been owned by some of the best individuals ever...YOU! 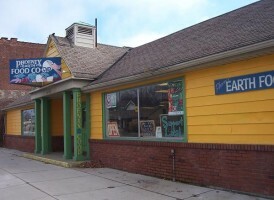 We are Toledo's only natural food co-op. Shop local and shop healthy! What is a Co-op? A cooperative (co-op for short) is a business owned by and run by members. It is democratically run and is governed by a board of directors elected by the membership. Co-ops are based on values not unlike those we subscribe to individually, including self-responsibility, democracy, equality, honesty and social responsibility.